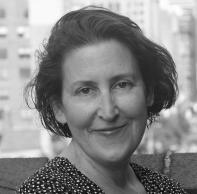 Karen Bender is a novelist and short story who lives in Wilmington, North Carolina, with her husband and her two children. Her story collection, Refund, was just published by Counterpoint Press in 2015; it was on the shortlist for the Frank O’Connor International Short Story Prize and was a Los Angeles Times bestseller. This interview was conducted via email by Interview Editor Niki Johnson. Of the process, she said, “Karen’s writing is both remarkable and relatable—much like herself. She has an unbelievable talent for exploring the ordinary in a way that speaks to the soul. I greatly admire her generosity in sharing her time and inspiring words.” In this interview, Karen discusses the ways her parents fostered creativity, being patient with her own work, and writing to connect with readers. Superstition Review: I was delighted—and a little envious—to discover that your sister is the author Aimee Bender who is also a past Superstition Review interviewee. That is a lot of talent coming from one family! Could you talk a little bit about what it was like growing up in a writerly home and how you influence one another today? Karen Bender: Our mother is a dancer/choreographer and our father is a psychoanalyst, so though they weren’t writers they really supported creative work. They also allowed us the gift of writing whatever we wanted, which is really an important gift to give children. TV was also very limited in our house, which made us mad, but ultimately helped us fill our time with creative outlets instead. Our parents didn’t like us to buy things for them, but wanted us to make things, for birthdays, holidays, etc., so there was the general sense that one was supposed to make things. So we did. Today we tell each other about books we think are good (and we often see different things we like or don’t like about a book), and can offer advice and also gossip, which is fun. KB: When I started writing, I loved using description and explaining character, but I was not as interested in what a character did. This sometimes made my stories static and somehow flat. I think I became aware that actions and verbs were important when I was writing my first novel and had a 600 page first draft with no discernible plot. Then I realized that it might be helpful if I focused on having my characters do something, and figure out why they did these things. And yes, after awhile, I understood how action and verbs were what I responded to in my favorite stories, not necessarily just language. So I became aware of how beautiful verbs and action can be, and now I try think of my stories more in terms of action. SR: Your “Ten Commandments for Becoming a Writer” are simple and inspiring. I’ve read that you originally wrote them for yourself. Though you are an accomplished writer, could you discuss one rule that you struggle to follow? Specifically, what methods do you use to overcome the difficulties many writers may also experience? KB: Learning patience is one of the biggest challenges I have faced as a writer, and continue to face. How do you stay with a piece, over and over, until it is truly finished? How do you find that steeliness within yourself to keep going? How are you able to look at a piece of writing and see the potential in it even when it is, at first, not very good? I see this as the trait that separates writing students who are able to produce strong work from ones who don’t. I don’t think there is necessarily a method to develop patience, but just awareness. It is looking at a piece and thinking: is this as strong as I can make it? Can I wait a little more time and improve this end, or this scene that is a little mushy, or develop this character? Learning to value patience and the time the process can take is important. SR: You also recommend having “writing buddies who will read you work for you” and work as a support system in the ups and downs of the processes. You give such solid advice! What is some advice another writer has given to you that has changed the way you look at writing? KB: Meg Wolitzer, who was one of my teachers at the Iowa Writers’ Workshop, told me, when I was writing my first novel, to wait until I was finished to show it to the world, to sell it. It was very good advice. I think that MFA students can be so focused on getting their work to agents and publishers, that they can rush into it before their work is fully formed. This rushed feeling sometimes comes from a sense of being powerless and unseen. I know that feeling well. But waiting until a work is finished gives you the most control over your vision for it, your conception of what it can be before you offer it to the rest of the world. SR: I am fascinated in the way your characters continue their everyday lives in the wake of major crises like 9/11, fraud, and surviving public shootings. It’s such an interesting perspective because I think our society influences us to focus on heroic, and more often, tragic narratives. What attracts you to placing your characters in these heightened situations and then choosing to explore the more “normal” aspects of life? KB: In downtown Manhattan right after September 11, we lived with two very stark realities—the Twin Towers, which were now burning heaps, the trucks hauling the pieces of crumbled building to ferries, the posters with faces of the missing, the smoke billowing into the sky. And beside this was “normal” life—people were going to work and pushing strollers down the street while a couple blocks away, there was It was a stark, enormous, physical reminder of terrible, immense violence and the world’s ability to change at any moment. That is, of course, a fact which is there at any time, but I think we tend to suppress it. I wanted to explore those contrasts because I saw how it affected the living in powerful ways, and because I thought it was important to look at the ways a war zone—which is how downtown Manhattan felt those days---was perhaps the ultimate surrealism, where the normal felt somehow abnormal by what surrounded it. SR: In your story “Theft,” I was surprised to find myself sympathizing with con-artist, Ginger. Her stealing almost seems excusable. For one reason, the most obvious, she’s elderly. More importantly, you provide rich glimpses into her past that illustrate how this lifestyle stemmed from survival. How does your reader’s ability to sympathize with “bad” characters inform your stories? KB: Ginger is my favorite character in the book; she is so flawed, but also strong, and full of such longing to connect at the end of her life. I think writing can be a process similar to acting—you find a way to connect with the character and try to channel him or her. I think the best characters are layered and flawed, as we all are, and by inhabiting their experience or persona, a reader can learn also about longings within themselves. “Bad” characters can act out for the writer or reader. SR: Your definition of literary fiction in Los Angeles Review of Books floored me with delight! “Literary fiction tries to illuminate something true in a human life.” In your story “This Cat,” could you speak to the ways you use the family pet to achieve this? KB: I’m glad that was helpful! I love using cats in fiction—my first novel, “Like Normal People” featured a cat, Simone, who was the child of sorts, and “Refund” ends with a story, “What The Cat Said,” in which a cat says “I love you” to a family. Pets often function as innocents in fiction, as people can project anything onto them. In ‘This Cat,” the cat functions as a metaphor for the complexity of parenting and childhood. SR: I noticed that your stories in Refund were written roughly over the course of about ten years. All the while, anxieties about our economy and money have remained relevant. It’s a topic nearly on everybody’s minds and I loved the way you explored it through fiction. In what ways has your authorship has changed over these years? Do you notice anything different in your more recent stories like “For What Purpose?” and “This Cat”? KB: Good question. Yes, I started the stories in 2002, when economic inequality in this country was increasing in a very visible way, and there was a recession in 2002 and then of course, in 2008, and financial issues were very present the lives of my family and everyone we knew. I was aware of how many discussions my friends and I had revolved around the ways financial pressures and obstacles were impacting our lives. I think that tension leaked into stories even when I didn’t intend them to. Technically, I do see a shift in my interest in first person pov—most of the first stories were written in third, and I found a first-person voice that I really enjoyed later, after reading Grace Paley and Miranda July. Each story is an opportunity to explore a new way of writing a story, a new way of approaching content. That’s one reason I love writing stories—you can try out new voices, or styles within a small space. SR: One of your favorite quotes is from the highly influential choreographer, Martha Graham. Of the creative process she says, “You have to keep open and aware directly to the urges that motivate you.” Could you discuss your major motivations for writing? KB: I think I tend to write to try to figure out some feeling of unease or questions rumbling around in myself. This is one of the great things about being a writer—your job is to figure out feelings. My favorite books either open me up to a new way of seeing the world or understand me in a basic way. I also remember vividly how powerful it was, when I was younger, to read work that understood me in some deep way. A character who voiced a feeling that I had, or interacted with the world in a way I found familiar, was so validating in some way. I also write to help readers not feel alone, to have the sense—someone out there feels the way I do. KB: It’s a desk that is a total and complete mess. I really have to straighten it up one of these days.